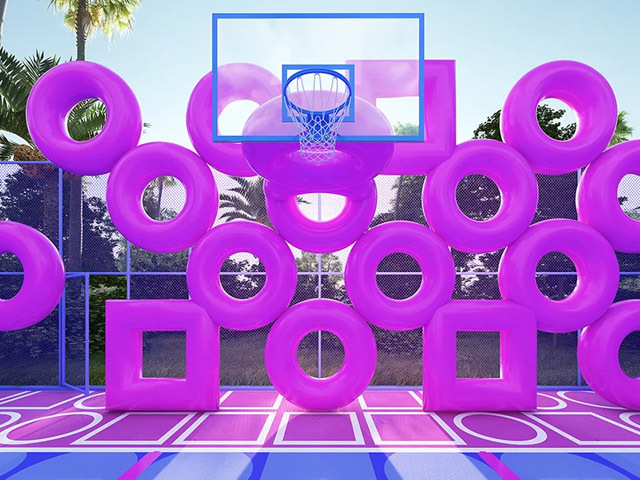 A pink ‘ringed’ basketball court has combined street sports with street furniture in a daring design of inflatable rings that adds a cushion-y layer for players and a bright spot for spectators. 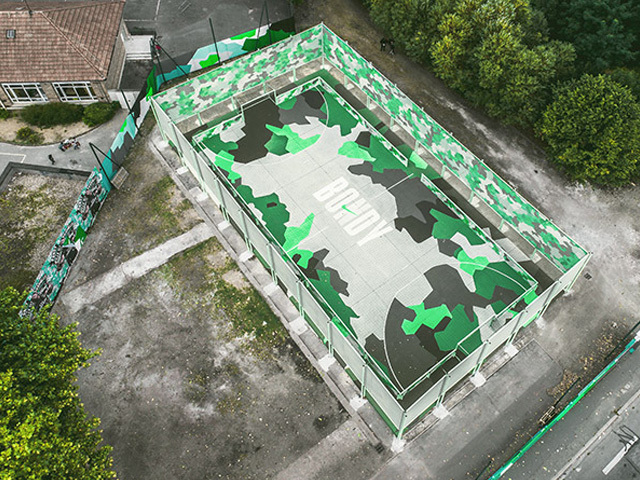 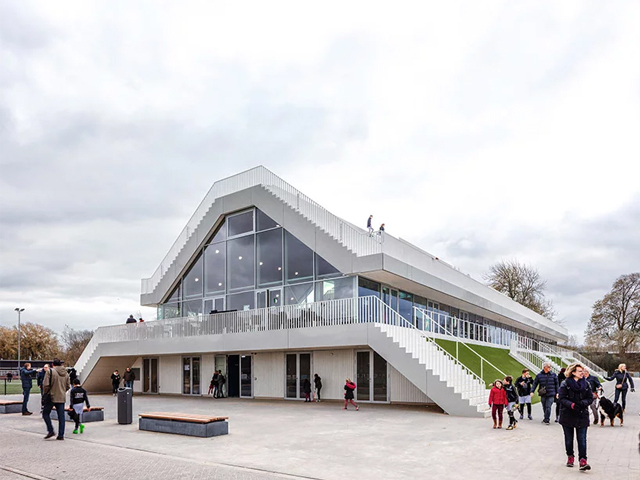 French artist Cyril Lancelin of Town and Concrete has envisioned a basketball court where the game isn’t only for the players but for the spectators as well. 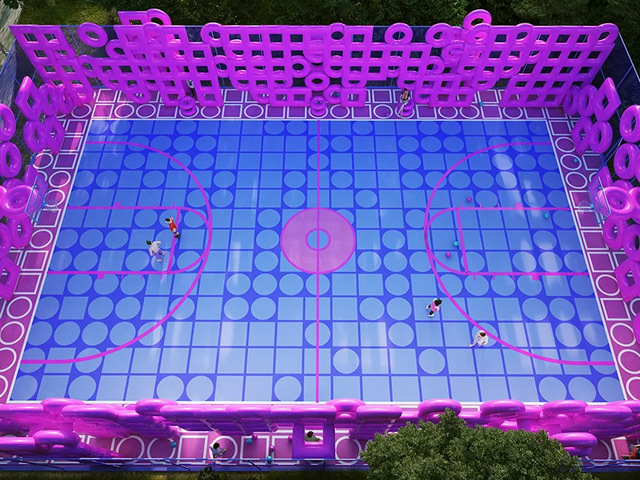 By using pink doughnuts as elements of the fence and supporting structure for the baskets, the designer has created a colourful court with decorations that double as street furniture. 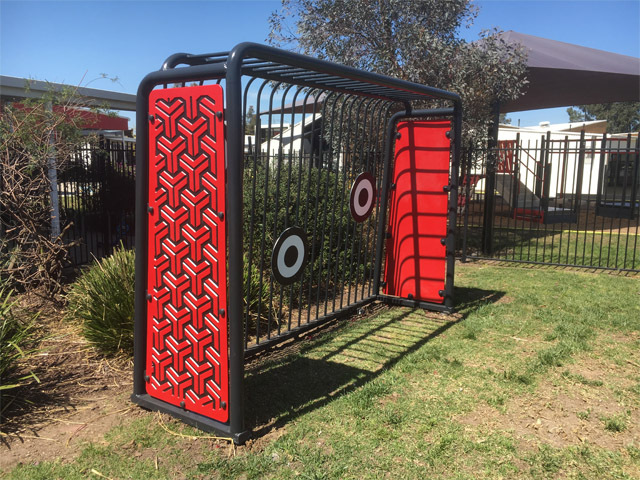 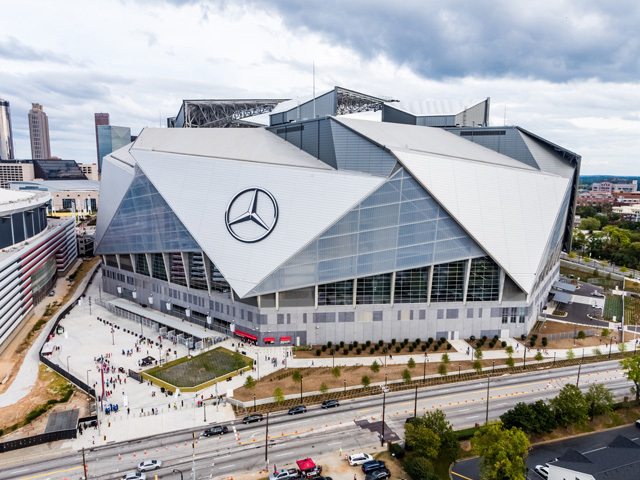 Some of the tori and squares featured on the fence are made of a thin wooden structure wrapped in foam and covered with protective fabrics, like the ones usually found on poles at sports venues. 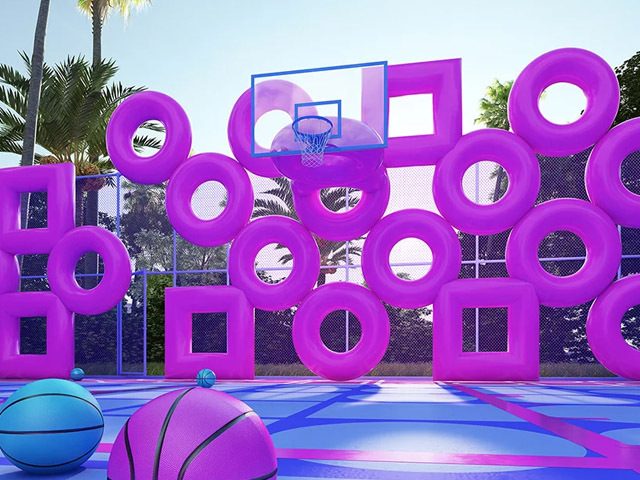 The other pieces are inflatable and bumpy. 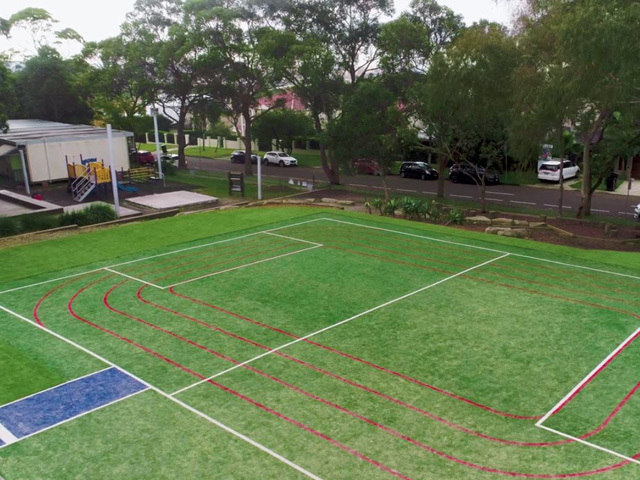 From the fence, the playful grid spreads onto the ground where the geometry is presented in blue colours and pink playground markings. 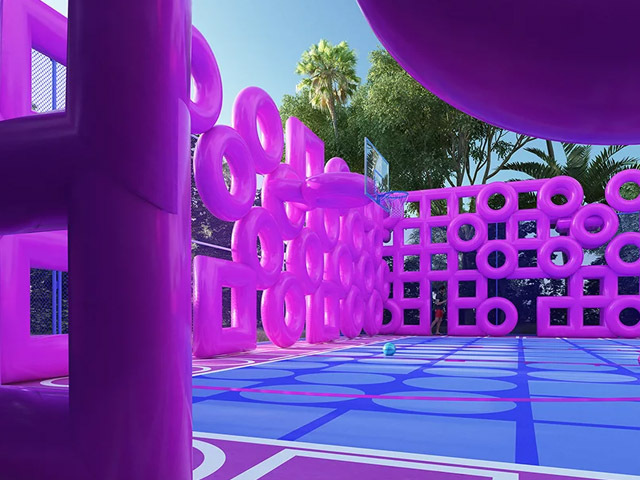 The installation showcases the studio’s impactful aesthetics, where bright colours and inflatable structures take centrestage.